Are you ready to ditch the bulky bottles and save a bulk of money? If you are using five five-gallon jugs of water, K&S Vending’s water filtration systems may provide savings and greater convenience for your office. K&S Vending uses Vertex water purification systems, which have the same footprint as traditional water coolers, but don’t use any plastic water bottles. Instead, the cooler connects with your building’s own water system, giving employees instant access to hot and cold purified water on demand. For smaller spaces, we now offer countertop models that provide the same convenience without requiring floor space. K&S Vending will test your water for hardness and chemical composition and then provide the best type of filtration for your location. Our preventative maintenance program then rotates your filter every three, six, or twelve months, depending on your water and filter type. 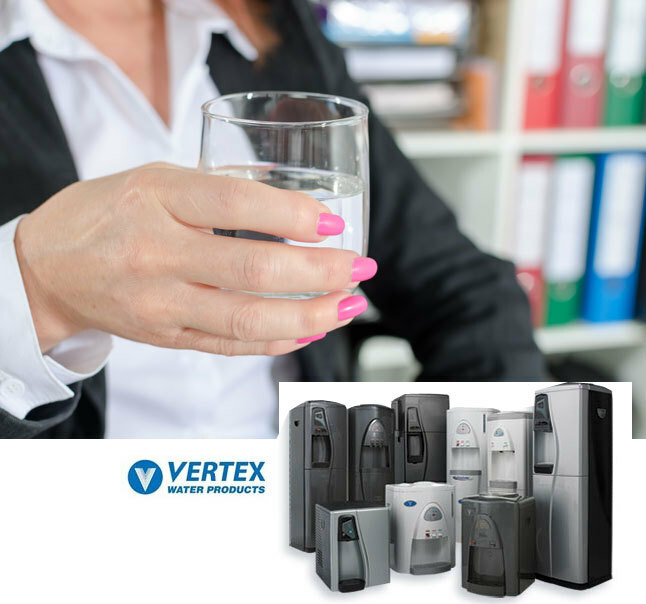 For workplaces, Vertex water filtration systems are much lower maintenance and can have much lower costs than traditional coolers, and there are no bulky bottles to deal with. Contact us to explore whether K&S Vending’s Vertex water filtration systems are right for you, or build your custom solution to pair water filtration services with our next-generation vending or micro markets!